So my Rasberry Pi had some sort of failure, and I'm trying to recover some data from the SD card. Since I didn't have an SD reader on hand I chucked the SD into my android phone and tried to use the file explorer to find the files I wanted. However, android didn't recognize the card properly, and I ended up having to find an SD reader. 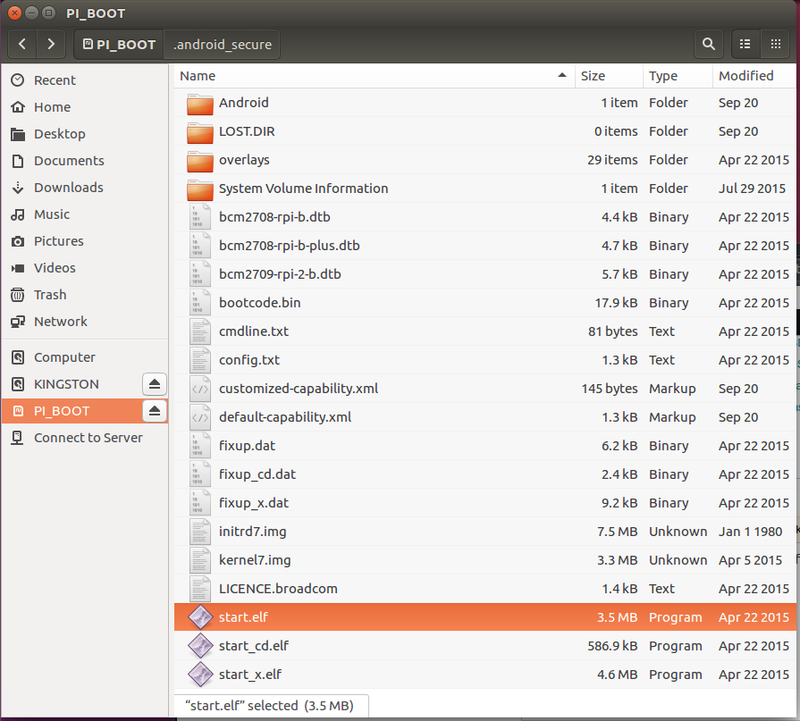 As you can see, Android has added some of its own files to it - and the Ubuntu structure appears to have disappeared. Am I still able to access the Ubuntu files? In regards to the actual failure. I believe it was knocked hard. Neither the ethernet or USB slots work, and the Pi boots and prints the error (HMDI works): VFS: unable to mount root fs on unknown- block(179,2). I've also created a SD cloned image of the card using dd, which can be grabbed from here. Which shows a damaged (but existing) second partition. What you see is just the Boot-Partition of your Pi. It is FAT32 and therefore can be read by your phone. The Root-Partition (with all your data) is of type Ext4. You don't seem to have mounted it or your partition table got damaged and is therefore lost. Check your device list if you can find another partition. And check your mounted partitions. Compare the outputs and see which device is mounted for PI_BOOT and if there is another partition. If the partition is not visible you might try to use ParitionMagic. But this requires higher skills. Ok, so turns out the Android install files were a red-herring (as some users noted), and this was actually a relatively simple operation. What I did was use TeskDisk to find the missing data partition. This is done by using the analyse function. 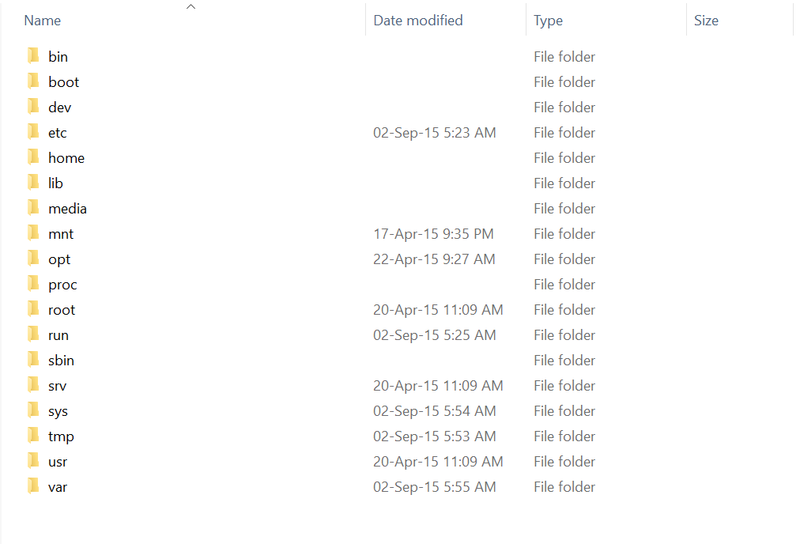 Once I had the lost partition I was able to explore the structure and retrieve the specific files I needed. Interestingly, PhotoRec couldn't recover the specific file, since it only returned *.sqlite, and not any *.sqlite3 files. Thank you to everyone who helped. Since the raspberry pi is bricked, I've ordered a new one and I'll use my original backups (plus the retrieved database file) to bring my server back to its current state. Not the answer you're looking for? Browse other questions tagged sd-card ubuntu android recovery or ask your own question. How to recover files from corrupted SD?